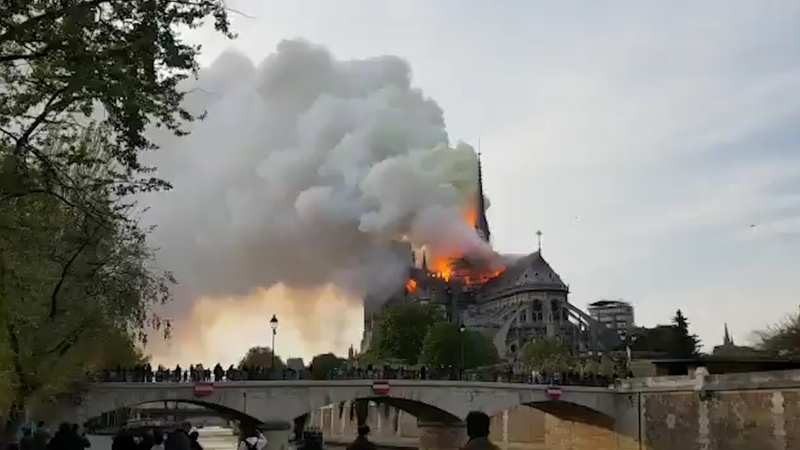 Sacramento’s Roman Catholic community, Catholic schools and local churches prayed and mourned Monday as a massive fire at the Notre Dame cathedral raged into the night in Paris, having already toppled the landmark’s iconic spire. “This destructive fire at the historic treasure and divine haven of mercy tears at our hearts,” Bishop Jaime Soto, head of the Roman Catholic Diocese of Sacramento, said in a statement. “The iconic cathedral dedicated to Our Lady, Notre Dame, has stood as a stalwart citadel of faith for centuries. The tragedy comes six days before Easter and a day after Palm Sunday. In Christianity, the span between Sunday and the day before Easter is known as Holy Week.